The restaurant supply superstore carries every kind of wiper under the sun. We obviously have foodservice wipers for cleaning the kitchen and prep tables at restaurants since we dominate the foodservice industry. But we also have many more all purpose wipers for various cleaning niches like particle free labs. Our kimtech wipers are great for eye doctors and laboratories. We have lint free wipers. Also, our wypall wipers are great for auto shops and other commercial jobs. 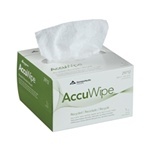 Atlantic Mills White All Purpose Wipes 12 in. x 13 in. Atlantic Mills Blue Medium Duty Towel 13.5 in. x 21 in. Atlantic Mills White Medium Duty Towel 13.5 in. x 21 in. Atlantic Mills Economy Pink with White Wipes 13 in. x 20 in. Chix Wet Wiper Light Duty Pink - 13.5 in. x 24 in. Wypall 2-Ply Towel Windshield - 9.1 in. x 10.25 in. Wypall-Teri White Pop-Up - 9.1 in. x 16.8 in. Tork Universal Pop-Up Wiper White - 9 in. x 10.25 in. Rust Foodservice Wiper - 13.5 x 21 in. 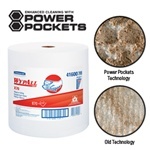 Wypall Workhorse X70 Jumbo Roll Towel White - 12.5 in. x 13.4 in. Wypall Workhorse X70 White Pop Up - 12.5 in. x 16.8 in. Task Brand Wiper Cellulose White - 9.38 in. x 16.5 in. Interstate Two-Ply Singlefold Auto Care Wipers - 9.5 in. x 10.25 in. 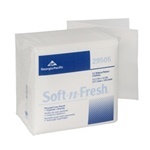 Light-Duty White Paper Wipers - 8 in. x 12.5 in. Medium Duty Airlaid Quarter Fold Wipers - 13 in. x 13 in. 2-Ply Center-Pull Perforated Wipers - 8.25 in. x 12 in. 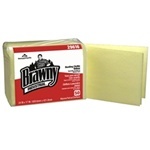 Brawny Industrial White Light Duty 2-Ply Paper Wipers - 8 in. x 12.5 in. Also, our wypall wipers are great for auto shops and other commercial jobs. Wholesale wipers are used everyday in many businesses to wipe down parts and machines. Disposable wipers make the job easy and there is no rag washing to deal with.